If you’re like me and have way too many pictures and screenshots saved on your Android device, you’ll want to check out this free app that makes it a snap to clean out your gallery. If you’ve ever used Tinder to find a date, the interface should seem familiar. SlidePick lets you pick a folder or a bunch of them, and simply swipe left on image previews to delete ones you don’t want or right to retain them. I prefer this method over apps that automatically clean out images. You can’t be sure what they’ll delete until you review their selections. 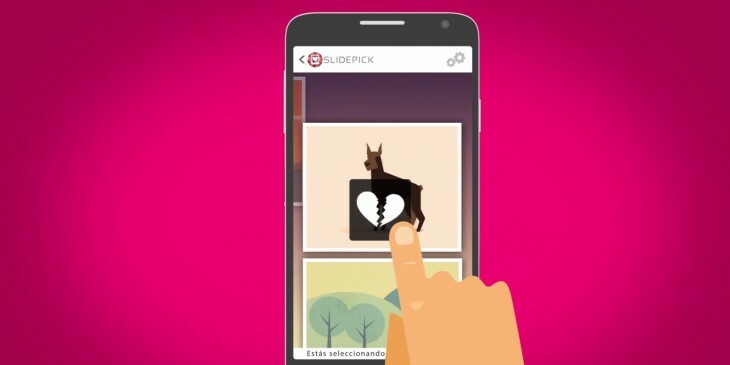 SlidePick gives you full control over what you remove and save. You can also create a new album the same way — choose folders and swipe right on images to copy or move them to a new album. At present, you can save your organized images to your device, but SlidePick will soon add support for cloud storage services like Dropbox, Google Drive, OneDrive and Box. In addition, SlidePick also lets you take pictures with its built-in camera app to create a new album. That’s certainly useful when you need to snap a bunch of photos and group them quickly — like when you’re browsing several new apartments and want to save images of each flat into separate folders. I noticed that the app became unresponsive for a bit when I was adding folders to my edit queue, but once it loaded up my images, SlidePick worked smoothly and quickly to help me delete duplicates and shaky photos. If you’re looking for similar apps to clean out your iOS camera roll, take a look at Flic and Purrge.